Rebbe (Hebrew : רבי: /ˈrɛbɛ/ or /ˈrɛbi/  ) is a Yiddish word derived from the Hebrew word rabbi , which means "master", "teacher", or "mentor". Like the title rabbi, it refers to teachers of Torah or leaders of Judaism. Hasidism, sometimes Hasidic Judaism, is a Jewish religious group. It arose as a spiritual revival movement in contemporary Western Ukraine during the 18th century, and spread rapidly throughout Eastern Europe. Today, most affiliates reside in Israel and the United States. Israel Ben Eliezer, the "Baal Shem Tov", is regarded as its founding father, and his disciples developed and disseminated it. Present-day Hasidism is a sub-group within Ultra-Orthodox ("Haredi") Judaism, and is noted for its religious conservatism and social seclusion. Its members adhere closely both to Orthodox Jewish practice – with the movement's own unique emphases – and the traditions of Eastern European Jews, so much so that many of the latter, including various special styles of dress and the use of the Yiddish language, are nowadays associated almost exclusively with Hasidism. The Yiddish term rebbe comes from the Hebrew word rabbi, meaning "My Master", which is the way a student would address a master of Torah. It was an honorific originally given to those who had Smicha in the Pharisaic and Talmudic era. Since vowels were not written at the time, it is impossible to know historically whether it was pronounced rah-bee ( /ˈrɑːbi/ ) or r-bee ( /ˈrɛbi/ ). The English word rabbi ( /ˈræbaɪ/ ) comes directly from this form. In Yiddish, the word became reb-eh ( /ˈrɛbɛ/ )—now commonly spelled rebbe ( /ˈrɛbə/ —or just reb ( /ˈrɛb/ ). The word masterרבrav [ˈʁäv] literally means "great one". The Pharisees were at various times a political party, a social movement, and a school of thought in the Holy Land during the time of Second Temple Judaism. After the destruction of the Second Temple in 70 CE, Pharisaic beliefs became the foundational, liturgical and ritualistic basis for Rabbinic Judaism. The Sages of the Mishnah known as the Tannaim , from the 1st and 2nd centuries of the common era, were known by the title Rabbi ( /ˈræbi/ ) (for example, Rabbi Akiva and Rabbi Shimon bar Yochoy). Rabbi Yehuda HaNasi, the leader of Jewry in Mishnaic Times, was simply called Rabbi ( /ˈræbi/ ), as being the rabbi par excellence of his generation. Tannaim were the Rabbinic sages whose views are recorded in the Mishnah, from approximately 10-220 CE. 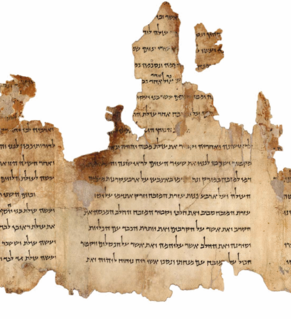 The period of the Tannaim, also referred to as the Mishnaic period, lasted about 210 years. It came after the period of the Zugot ("pairs"), and was immediately followed by the period of the Amoraim ("interpreters"). Akiba ben Yosef also known as Rabbi Akiva, was a tanna of the latter part of the first century and the beginning of the second century. Rabbi Akiva was a leading contributor to the Mishnah and to Midrash halakha. He is referred to in the Talmud as Rosh la-Hakhamim "Chief of the Sages". He was executed by the Romans in the aftermath of the Bar Kokhba revolt. The Sages of the Talmud known as the Amoraim , from the 3rd, 4th and early 5th centuries, those born in the Land of Israel, are called Rabbi ( /ˈræbi/ ); those born in the diaspora are known by the title Rav ( /ˈrɑːv/ ). Amoraim refers to the Jewish scholars of the period from about 200 to 500 CE, who "said" or "told over" the teachings of the Oral Torah. They were concentrated in Babylonia and the Land of Israel. Their legal discussions and debates were eventually codified in the Gemara. The Amoraim followed the Tannaim in the sequence of ancient Jewish scholars. The Tannaim were direct transmitters of uncodified oral tradition; the Amoraim expounded upon and clarified the oral law after its initial codification. The Land of Israel is the traditional Jewish name for an area of indefinite geographical extension in the Southern Levant. Related biblical, religious and historical English terms include the Land of Canaan, the Promised Land, the Holy Land, and Palestine. The definitions of the limits of this territory vary between passages in the Hebrew Bible, with specific mentions in Genesis 15, Exodus 23, Numbers 34 and Ezekiel 47. Nine times elsewhere in the Bible, the settled land is referred as "from Dan to Beersheba", and three times it is referred as "from the entrance of Hamath unto the brook of Egypt”. Rabbi, a teacher of Torah – Yeshiva students or cheder (elementary school) students, when talking to their Teacher, would address him with the honorific Rebbe, as the Yiddish-German equivalent to the Hebrew word Rabbi (רַבִּיrabi [ˈʁäbi] ). Personal mentor and teacher—A person's main Rosh Yeshiva, Yeshiva teacher, or mentor, who teaches him or her Talmud and Torah and gives religious guidance, is referred to as rebbe ( /ˈrɛbə/  ), also as an equivalent to the term "rabbi". Spiritual leader—The spiritual head of a Hasidic movement is called a rebbe ( /ˈrɛbə/  ). His followers would address him as "The Rebbe" or refer to him when speaking to others as "the Rebbe" or "my Rebbe". He is referred to by others as the Rebbe of a particular Hasidut. In Hebrew, a hasidic rebbe is often referred to as an AdMoR , which is an abbreviation for Adoneinu, Moreinu, veRabbenu ("Our Master, our Teacher, and our Rabbi"). In writing, this title is placed before the name of the Hasidut, as in "Admor of Belz"; while the title Rebbe comes after the name of the Hasidut when used as an adjective, as in "Lubavitcher Rebbe", "Amshinever Rebbe", and every rebbe of every Hasidic Dynasty. In the Litvishe world, when not referring to a hasidic rebbe ( /ˈrɛbə/  ), the word can be pronounced "rebbee" ( /ˈrɛbi/ ). Sephardic Jews can pronounce it as "Ribbi" ( /ˈriːbi/ ). The Lubavitcher hasidim have a tradition that the Hebrew letters that make up the word rebbe ( /ˈrɛbi/ ) are also an acronym for "Rosh Bnei Yisroel", meaning "a spiritual head of the Children of Israel". Halakha is the collective body of Jewish religious laws derived from the written and Oral Torah. 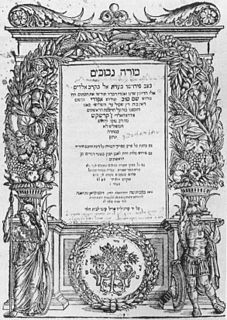 Halakha is based on biblical laws or "commandments" (mitzvot), subsequent Talmudic and rabbinic law, and the customs and traditions compiled in the many books, one of the most famous of which is the 16th-century Shulchan Aruch. Posek is the term in Jewish law for a "decisor" — a legal scholar who determines the position of Halakha in cases of law where previous authorities are inconclusive, or in those situations where no clear halakhic precedent exists. As a rule, among hasidim, rebbe ( /ˈrɛbə/ ) is referred to in Hebrew as admor (pl. admorim), an abbreviation for Hebrew adoneinu moreinu v'rabeinu, meaning 'our master, our teacher, and our rabbi', which is now the modern Hebrew word in Israel for rebbe. Hasidim use the term rebbe ( /ˈrɛbə/ ) also in a more elevated manner, to denote someone that they perceive not only as the religious leader or nasi  of their congregation, but as their spiritual adviser and mentor. The Rebbe or my Rebbe in this sense is a rav or rabbi whose views and advice are accepted not only on issues of religious law and practice, but in all arenas of life, including political and social issues. Sometimes a hasid has a rebbe as his spiritual guide and an additional rav for rulings on issues of halakha. Hasidim use the concept of a (non-Hasidic) rebbe in the simple sense of rabbi, as the Yiddish-German equivalent to the Hebrew word רַבִּיrabi [ˈʁäbi] . For example: "I will ask my rebbe ( /ˈrɛbə/ ), Rabbi ( /ˈræbaɪ/ ) Ploni (so-and-so), for advice about this personal matter." A Hasidic rebbe ( /ˈrɛbɛ/ ) is generally taken to mean a great leader of a Hasidic dynasty, also referred to as "Grand Rabbi" in English or an ADMOR, a Hebrew acronym for Adoneinu-Moreinu-veRabbeinu ("our lord/master, teacher, and rabbi"). Outside of Hasidic circles, the term "Grand Rabbi" has been used to refer to a rabbi with a higher spiritual status. The practice became widespread in America in the early 1900s when Hasidic rebbes began to emigrate to the United States, and was derived from the German Grossrabbiner. Rabbi Yisroel Baal Shem Tov, the founder of Hasidism, is regarded by Hasidim as the first Hasidic rebbe. During his lifetime he was referred to mainly as "The holy" rather than as "Rebbe", and his disciples were "magidim" or "preachers", such as the Magid of Chernobyl or the Magid of Mezritch. According to Maimonides,  a tzadik is "one whose merit surpasses [his/her] iniquity", and every person can reach the level of a Tzadik. According to the Tanya, a tzadik has no evil inclination, and only a select few predestined to attain this level can attain it. According to Kabbalah (and particularly the Hasidic understanding of Kabbalah), the world is sustained on the "shoulders" of Tzadikim Nistarim, divinely predestined exceptionally righteous people in a generation. Nobody has knowledge about who was such a tzaddik, even one of these exceptionally righteous people would not know that they really are such a tzadik. These people are understood to have perfected their personal service of God to such an extent that they become literally and physically aware of God. These righteous people's perception (of both spiritual and physical, not to mention temporal matters) transcends the apparent boundaries of existence. However, a Hasidic rebbe is generally said to be a righteous person, called a "tzaddik". Furthermore, a rebbe is said to be able to affect divine providence, and a rebbe is said to be able to "see the future", or at least have strong insight into the life and trials of another. A rebbe conducts a tish (Yiddish : פֿירט טיש‎: feert tish, literally, "to run [a] table") or a farbrengen—a communal festive meal with highly mystical overtones—on Shabbat and other occasions. At a tish, the rebbe distributes shirayim (lit. remnants) to the Hasidim seated at or gathered round the table. When a gathering similar to a tish is led by a rabbi who is not a rebbe (i.e. a Mashpia), it can be referred to as a botte (esp. amongst groups from Romania) or sheves achim. The Tanya is an early work of Hasidic philosophy, by Rabbi Shneur Zalman of Liadi, the founder of Chabad Hasidism, first published in 1797. Its formal title is Likkutei Amarim, but is more commonly known by its opening word, Tanya, which means "it was taught in a beraita". It is composed of five sections that define Hasidic mystical psychology and theology as a handbook for daily spiritual life in Jewish observance. Breslov is a branch of Hasidic Judaism founded by Rebbe Nachman of Breslov (1772–1810), a great-grandson of the Baal Shem Tov, founder of Hasidism. Its adherents strive to develop an intense, joyous relationship with God and receive guidance toward this goal from the teachings of Rebbe Nachman. Nachman of Breslov, also known as Reb Nachman of Bratslav, Reb Nachman Breslover, Nachman from Uman, was the founder of the Breslov Hasidic movement. Vizhnitz is the name of a Hasidic dynasty founded by Rabbi Menachem Mendel Hager. Vizhnitz is the Yiddish name of Vyzhnytsia, a town in present-day Ukraine. Tzadik ( is a title in Judaism given to people considered righteous, such as Biblical figures and later spiritual masters. The root of the word ṣadiq, is ṣ-d-q, which means "justice" or "righteousness". When applied to a righteous woman, the term is conjugated as tzadeikes/tzaddeket. Elimelech Weisblum of Lizhensk, a Rabbi and one of the great founding Rebbes of the Hasidic movement, was known after his hometown, Leżajsk near Rzeszów in Poland. He was part of the inner "Chevraya Kadisha" school of the Maggid Rebbe Dov Ber of Mezeritch, who became the decentralised, third generation leadership after the passing of Rebbe Dov Ber in 1772. Their dissemination to new areas of Eastern Europe led the movement's rapid revivalist expansion. A nigun or niggun is a form of Jewish religious song or tune sung by groups. It is vocal music, often with repetitive sounds such as "Bim-Bim-Bam", "Lai-Lai-Lai", "Yai-Yai-Yai" or "Ai-Ai-Ai" instead of formal lyrics. Sometimes, Bible verses or quotes from other classical Jewish texts are sung repetitively to form a nigun. Some nigunim are sung as prayers of lament, while others may be joyous or victorious. Nathan of Breslov, also known as Reb Noson, born Nathan Sternhartz, was the chief disciple and scribe of Rebbe Nachman of Breslov, founder of the Breslov Hasidic dynasty. Reb Noson is credited with preserving, promoting and expanding the Breslov movement after the Rebbe's death. Rebbe Nachman himself said, "Were it not for Reb Noson, not a page of my writings would have remained." Rabbi Simcha Bunim Bonhart of Peshischa (1765–1827) was one of the key leaders of Hasidic Judaism in Poland. After studying Torah at yeshivas in Mattersdorf and Nikolsburg, he was introduced to the world of Hasidism by his father-in-law, and became a chasid (follower) of Rabbi Yisroel Hopsztajn, and then Rabbi Yaakov Yitzchak of Lublin (Chozeh), and the Rabbi Yaakov Yitzchak Rabinowicz (Yid Hakodosh), the Hasidic leaders of the day. After the death of the Yid Hakodosh, most of the chasidim followed Rabbi Simcha Bunim as their rebbe. Amshinov is the name of a Hasidic dynasty founded by Rabbi Yaakov Dovid Kalish. It is an offshoot of Vurka dynasty. It takes its name from the Yiddish name of Mszczonów, a town in Poland. Boyan is a Hasidic dynasty named after the town of Boiany in the historic region of Bukovina, now in Ukraine. The Hasidut is headquartered in Jerusalem, Israel, with communities in Beitar Ilit, Bnei Brak, Manchester, Australia, Beis Shemesh, London, Antwerp, Manhattan, Brooklyn, Monsey, New York and Lakewood, New Jersey. A tish is a gathering of Hasidim around their Rebbe. In Hebrew, a tish is called hitveadut. It may consist of speeches on Torah subjects, singing of melodies known as niggunim and zemirot ("hymns"), with refreshments being served. Hasidim see it as a moment of great holiness. They are public events that are open to non-Hasidim as well. Ohel is a structure built around a Jewish grave as a sign of prominence of the deceased. Ohelim cover the graves of some Hasidic Rebbes, important rabbis, tzadikim, prominent Jewish community leaders, and biblical figures. Typically a small masonry building, an ohel may include room for visitors to pray, meditate, and light candles in honor of the deceased. Mezhbizh is the name of the town of Medzhybizh in the present Ukraine which is significant as both the source of a Hasidic dynasty that bears its name and as a symbolic name for the roots of Hasidism. There are a number of honorifics in Judaism that vary depending on the status of, and the relationship to, the person to whom one is referring. 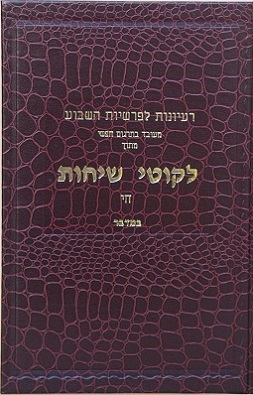 Likkutei Sichos, literally, "Collected Talks" contains both the scope and the core of the teachings of the Lubavitcher Rebbe, Rabbi Menachem Mendel Schneerson, and is the most authoritative source text for the Rebbe's unique, original, and often revolutionary explanation of Judaism. A Yom Hillula is another word for yahrzeit. However, it differs from a regular yahrzeit in two respects. It refers specifically to the yahrzeit of a great Tzaddik who taught Kabbalah and/or Chassidus, and unlike a regular yahrzeit, which is marked with sadness and even fasting, a Yom Hillula is commemorated specifically through simcha (joy), and festive celebration. This term is most often used in Hasidic circles to refer to the day of the death of Hasidic Rebbes. According to Kabbalah, on the Yartzheit of a Tzaddik, all the spiritual redemption of their life shines into this World, contributing to the Messianic redemption and bringing spiritual blessing to all who are connected to them. The supreme Tzadik of the generation is described as the all-inclusive, general soul of the Jewish people, further emphasised in Hasidic doctrine. Kvitel refers to a practice developed by Hasidic Judaism in which a Hasid writes a note with a petitionary prayer and gives it to a Rebbe in order to receive the latter's blessing. This prayer may be a general request for health, livelihood, or success, or a specific request such as recovery from illness, the ability to bear children, a wedding match, etc. Chabad philosophy comprises the teachings of the leaders of Chabad-Lubavitch, a Hasidic movement. Chabad Hasidic philosophy focuses on religious concepts such as God, the soul, and the meaning of the Jewish commandments. 1 2 3 4 Heilman, Samuel. "The Rebbe and the Resurgence of Orthodox Judaism." Religion and Spirituality (Audio). UCTV, 20 Oct 2011. web. 31 Jul 2013. 1 2 Schneerson, Rabbi Menachem Mendel. "The Head". Kabbalah and the Mystical. Chabad-Lubavitch Media Center. Archived from the original on 19 June 2013. Retrieved 25 August 2013. ↑ "YIVO - Maiden of Ludmir". www.yivoencyclopedia.org. Retrieved 1 May 2018. ↑ Deutsch, Nathaniel (6 October 2003). "The Maiden of Ludmir: A Jewish Holy Woman and Her World". University of California Press. Retrieved 1 May 2018– via Google Books. ↑ "Vienna Celebrates 'the Most Influential Rabbi of Modern History'". Alexandria, VA. Connection Newspapers. May 7, 2014. Chabad Tysons Jewish Center will present Paradigm Shift: Transformational Life Teachings of the Lubavitcher Rebbe, a new six-session course by the Rohr Jewish Learning Institute. The course will be offered as part of a series of local activities in Northern Virginia marking 20 years since the passing of "the Rebbe", Rabbi Menachem M. Schneerson of righteous memory. The Rebbe was a visionary religious leader who inspired countless individuals during his lifetime and established a global network of educational, social, and religious institutions to revive the post-holocaust Jewish landscape.